As the winter weather kicks in, camping is probably the furthest thing from your mind! But the months will fly by quickly and now is the perfect time to start thinking about booking your family camping holidays in 2019. As well as being affordable, it’s a great way to explore new areas and spend quality time with the kids, without all the technology! Things can and do go wrong, unfortunately, so it’s worth swotting up on these golden nuggets of advice prior to booking! It does not matter how much preparation you put into your holiday, if you choose the wrong location you can ruin your holiday before it has started. If you are looking for a family break by the beach make sure you choose a campsite that is family friendly and has plenty to keep the kids entertained. However, if you are looking for a couples break children running around may not be top of your list. There are many campsites around that cater to every group. If you are new to caravanning you may not have towed a caravan before but this should not make you nervous or even put you off your trip. There are places you can practice towing caravans if you need to, if not just take it easy and make sure you stay on the inside lane when on dual carriageways or motorways. although each campsite has to adhere to strict health and safety regulations there may also be rules specific to each site. For instance, most sites insist on no open fires or Chinese lanterns due to fire safety whilst others may be more flexible. Always check the site rules which will be displayed either on entry to the site or in the reception area. Although there are standard rules when setting up your pitch always check with the owners for any specific regulations. Some prefer you to put your caravan on one side of the pitch whilst others let you set up where you like. It is always a good idea to set your caravan down on the other side of the pitch to your neighbours. As well as a little extra privacy this can reduce some of the noise pollution. If you require a bit more space an awning is the perfect accessory to a caravan. These areas can be used to store outdoor furniture or to cook in. Always remember to only use bar-b-ques outside and never put them inside your awning or tent as this could cause carbon monoxide poisoning – which can kill. Some campsites only allow certain sized tents or awnings, depending on the size of your caravan, so always check before you set up as they can make you take them down. there are many misconceptions that camping holidays leave you smelly and not as hygienic as you would be if you stayed at a hotel or a resort. However, this could not be further from the truth! Campsites nowadays have to provide showering facilities as well as toilet blocks. There must also be adequate drainage for you to empty your toilet as well as areas you can do your washing up. There are also laundry rooms on most sites – just make sure you do not leave your washing in the machine too long when it is finished as other holidaymakers may remove it to make room for theirs. unless you have opted for a pitch with electricity you may be limited as to what food you can take with you. Many campsites have shops on them but these will usually be pricier than the local supermarkets so try and buy as much as you can before you arrive. Always make sure you have some staple foods in the cupboards – tins, pasta, and sauce, noodles etc – that you can add fresh ingredients to. And if you decide to have a bar-b-que don’t feel you are limited to sausages and burgers. A skewer of meat and vegetables, pasta, meat or even halloumi cheese are all alternative, tasty options. If you do not have electric hook-up make sure you have an ice box to keep your meat and dairy in. You can usually get ice packs from the campsite’s shop for a small fee to ensure your food stays fresh and keep you away from food sickness. Space is limited in a caravan so it is a good idea to do any activity that others may not appreciate outside. Try not to play music late into the night as other campers may not be into the same music as you. All families like to let their children have more freedom when camping but do not let your children run wild. Nobody appreciates other people’s children shouting and screaming first thing in the morning. And never walk across another person’s pitch. Whilst it may seem a shorter route to your caravan you are invading other people’s space. If you do find yourself next to a group displaying anti-social behaviour have a quiet, polite word with them. If they continue, speak to someone who works at the site who can speak to them for you. When you first reach your chosen campsite take a look at the surrounding area. Where are the safety points? Who do you report fires or other incidents to? If you are near the beach are there cliffs or woods that could be a danger? If you do have an accident do you know who you speak to or what to do? All campsites have a duty of care for their visitors and have to adhere to strict health and safety regulations. 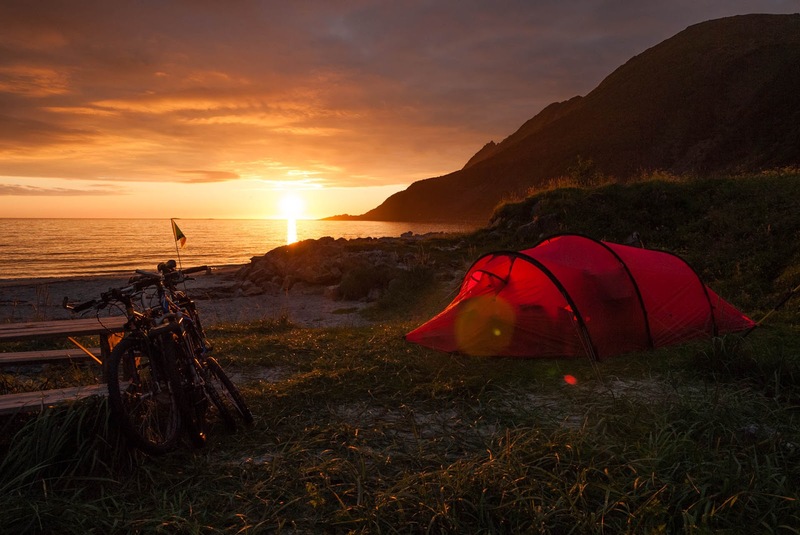 If you have suffered an accident on holiday and are injured due to a campsite owner’s negligence it is worth speaking to a solicitor as you could be entitled to compensation. All sites insist you leave your pitch by a certain time in the morning of your departure, usually either 10am or 11am. Make sure you have all your belongings packed – you would be surprised how easy it is to leave things behind. Always remove all rubbish and debris so you leave your pitch the way you would want to receive it. There are many beautiful areas of the UK and by following this guide you can visit them whilst have a relaxing caravanning break. Happy camping!